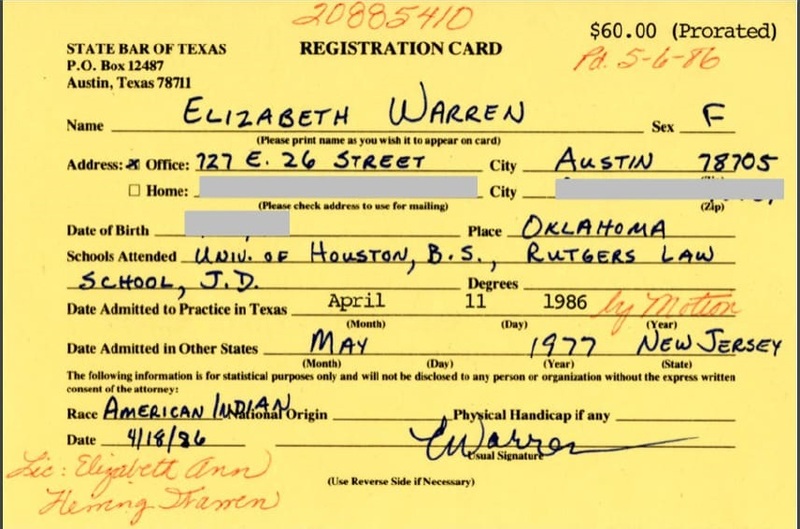 Elizabeth Warren claimed her race was "American Indian" on a registration card for the State Bar of Texas in 1986, The Washington Post has found through an open records request. [...]Warren filled out the card after being admitted to the Texas bar. Warren was doing legal work on the side, but nothing that required bar admission in the state, according to her campaign. 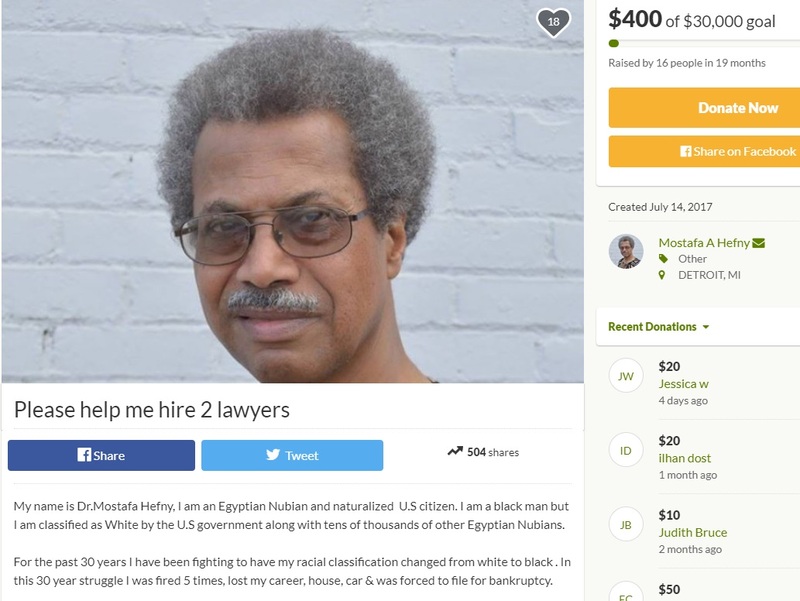 One of the funny things about "white privilege" is how supposedly "privileged" white people fight to get minority status in order to help their careers. 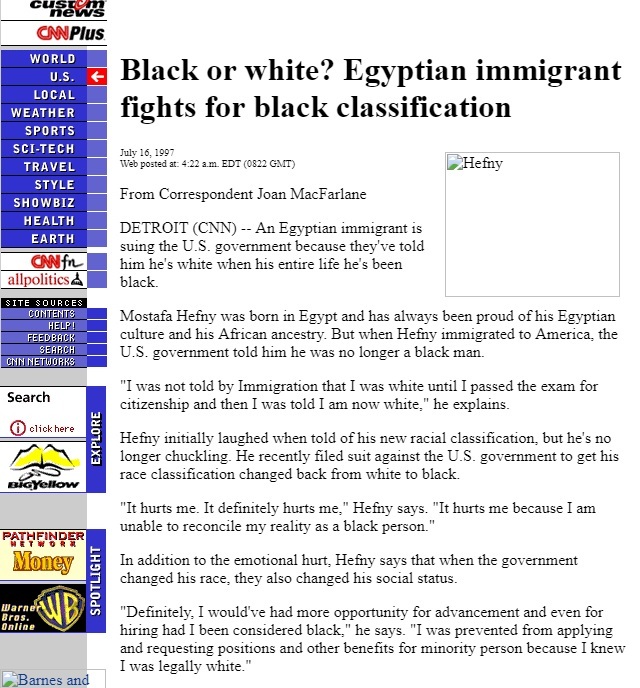 There was a great story from CNN back in 1997 on an Egyptian immigrant who has been fighting for ages to be reclassified as "black" instead of "white" in order to advance his career opportunities and gain a host of benefits. He's still fighting to be reclassified as black to this very day!